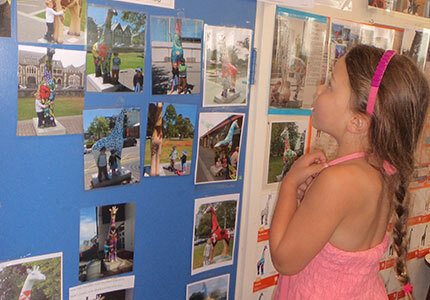 That’s Christchurch Stands Tall, a public art exhibition of statuesque giraffe sculptures that Kidsfirst Kindergartens across Christchurch have had a special fascination with. 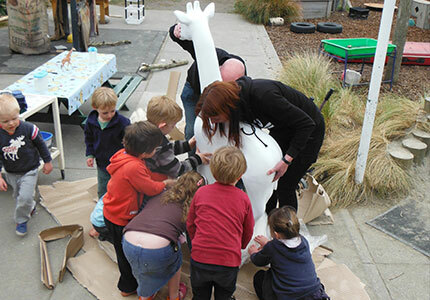 The 2.5 metre fibreglass giraffes were purchased by businesses that have sponsored local artists to paint them, and their calf-sized sculptures have been decorated by local schools and early childhood centres around Canterbury. 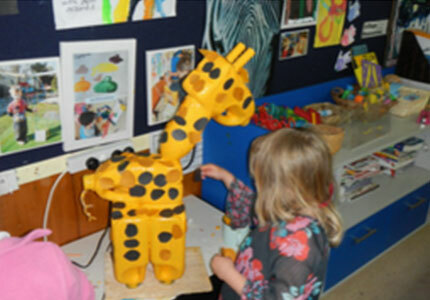 Kidsfirst Lincoln was one of two early childhood centres in Canterbury to receive a giraffe to decorate, name and display for three months. Arriving in August, the children had soon settled on the name 'Sparkle' then they went about deciding how to decorate her, and what each part of her would represent. 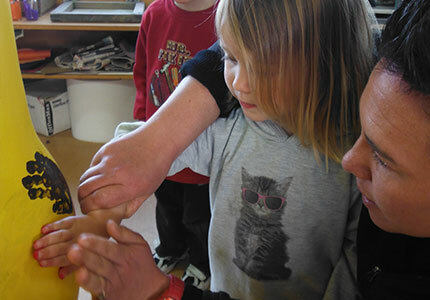 “Every child used handprints to make Sparkle’s skin pattern, and we added some bugs. She has rainbow legs and the buttons on her nose were donated from every family at Kidsfirst Lincoln,” says Kidsfirst Lincoln Head Teacher, Jeanne Williams. 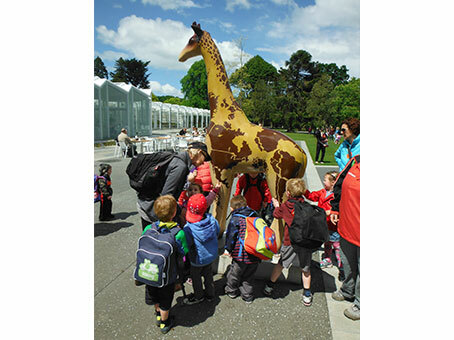 The rest of the giraffes were displayed around Christchurch's central city and suburbs. At the end of the three-month event, business-sponsored giraffes were auctioned off with proceeds going towards one of four charities. 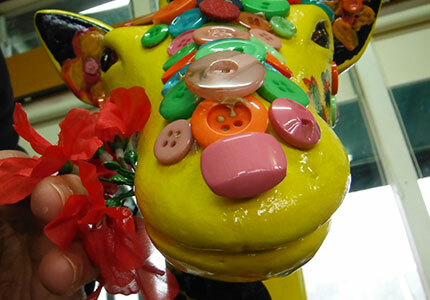 Giraffes decorated by schools will be able to be sold as a fundraiser. 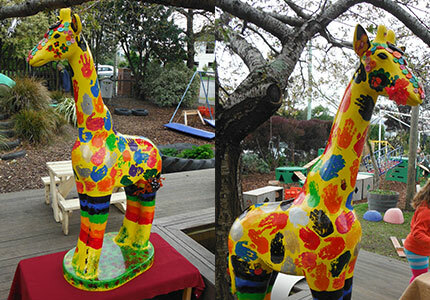 Kidsfirst Shirley were fascinated by the public art, as many kindergarteners saw the giraffes around Christchurch and wondered what was happening. 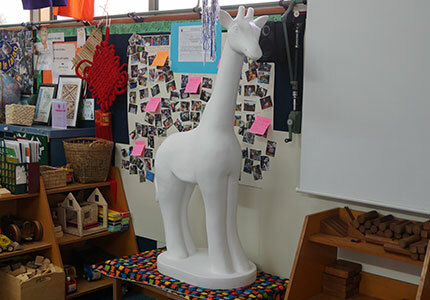 “Teacher Jayne Ngariki saw this as a great opportunity to extend the current interest in making links with their community, and with a group of children, looked up the giraffes on the Internet. 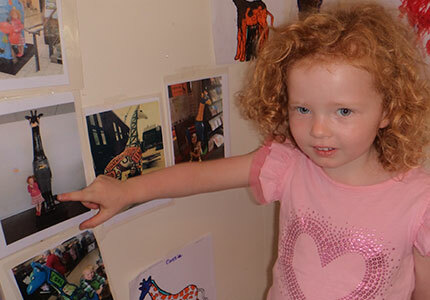 Together, everyone discovered a lot of pictures displaying the giraffes we might find, and the places we could find them,” says Kidsfirst Shirley teacher Rebecca Dulieu. 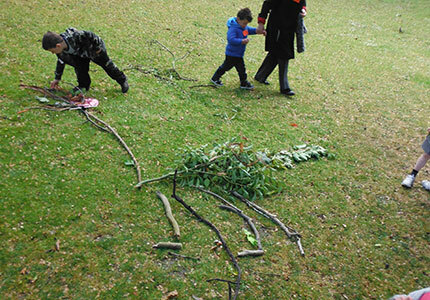 The children made the shape and glued it together themselves, which was a wonderfully collaborative team effort. The paint job was the most fun, according to Rebecca, because children got to draw and cut out the spots as well. 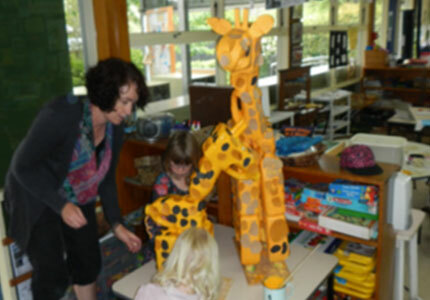 After the two giraffes were finished, the teachers decided to extend the learning efforts just that wee bit further, and called a hui (meeting) to discuss the names of the giraffes. 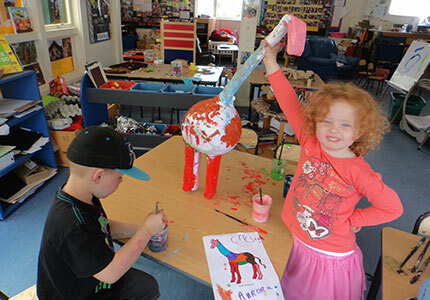 Whilst they may also have missed out on having a real giraffe statue to decorate, Kidsfirst Queenspark made their own papier-mâché giraffe from the children’s designs, with the help of a willing parent. Standing Tall may have started out as a public art project, but as always, children’s imaginations are stimulated and encouraged at Kidsfirst. 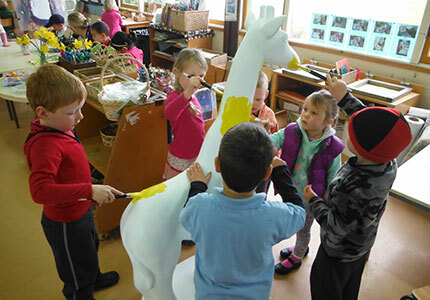 No one would have predicted where these giraffes would take each kindergarten, but it certainly looks like a fantastic learning opportunity, and a chance to really involve whānau in their child’s learning. 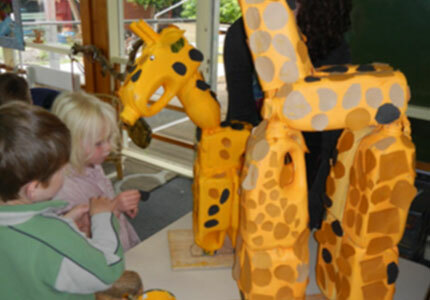 Below is an image of Kidsfirst Beckenham’s project with the giraffes around Christchurch. 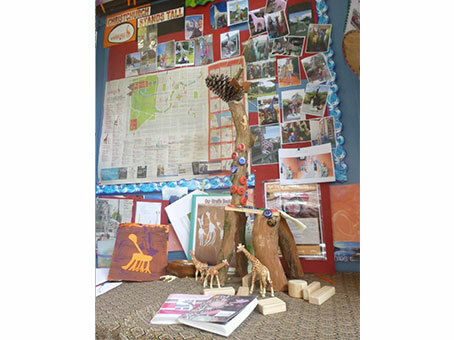 The backdrop is the display of everything children have collected, and below are sculptures and artwork they have made as part of a learning unit on giraffes. 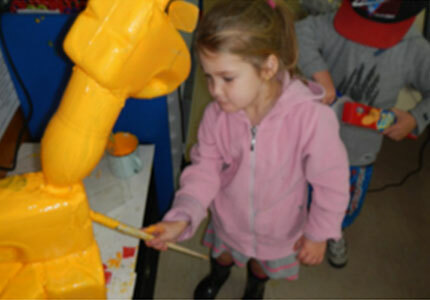 Christchurch Stands Tall was a public art initiative that some of our kindergartens participated in. Have a read about what they did, and how much the children loved it! 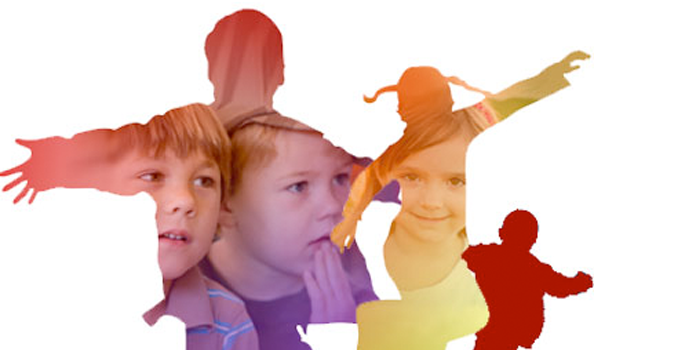 Children are affirmed as individuals. Children learn to work alongside each other. 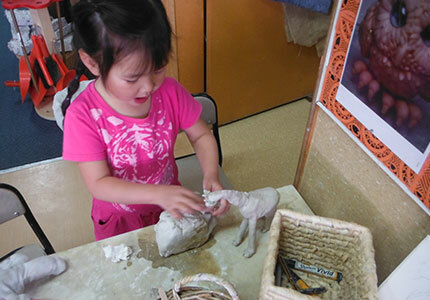 Children discover and develop different ways to be creative and expressive. 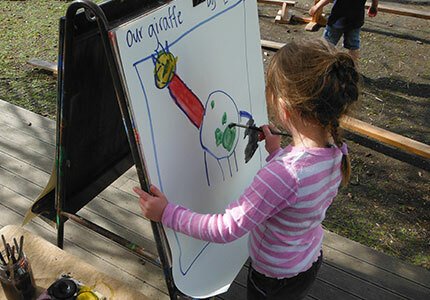 Children persist with a task, seeing their ideas come to life and following a thought process through to completion. 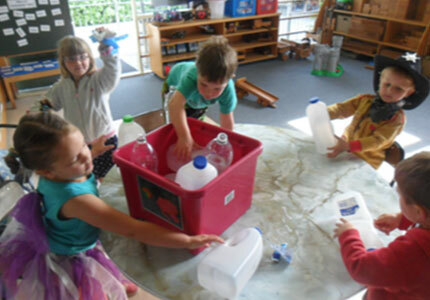 Children learn strategies for active exploration, thinking and reasoning.